I just had to share some recent photos of my P with you guys. 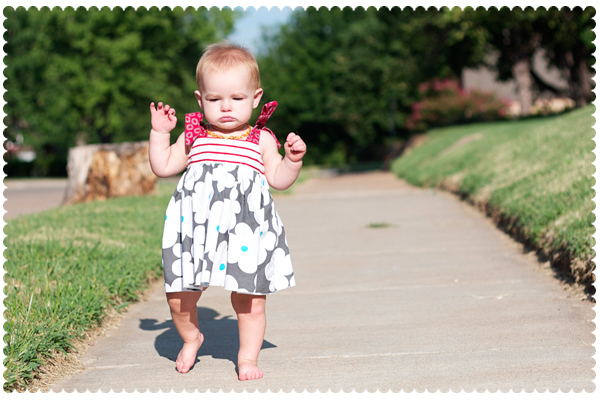 Now that she's walking, her little dresses are getting cuter and cuter. The dress in these pictures was passed down to her by her sister-cousin and her amber necklace is from tweet baby designs. I just love this one - just standing and ready to go. And when you see things outside, you have to tell your furry brother about it and point, even if he's not paying attention. 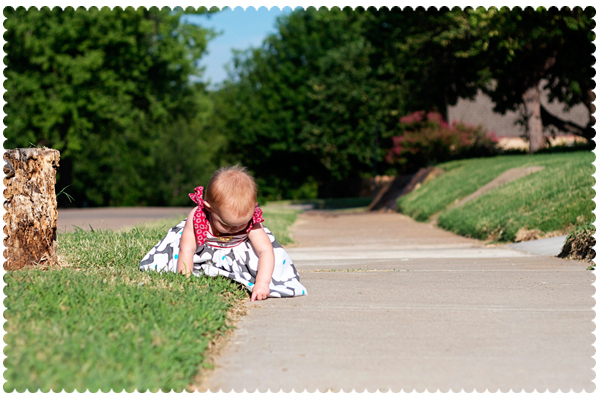 Stopping for a rest and found something in the grass. 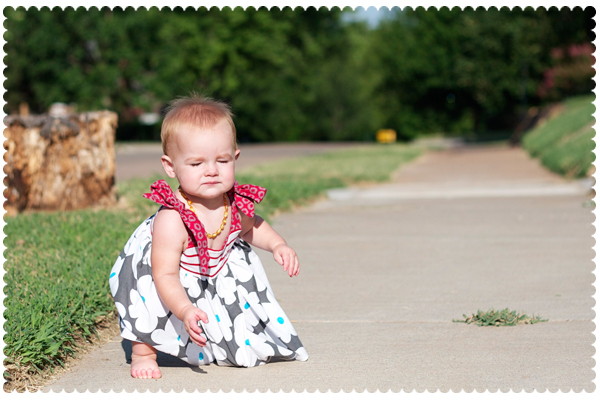 Then there's the tough part about dresses when you can walk - stepping on the dress when trying to stand. Happy Friday folks and have an awesome weekend! 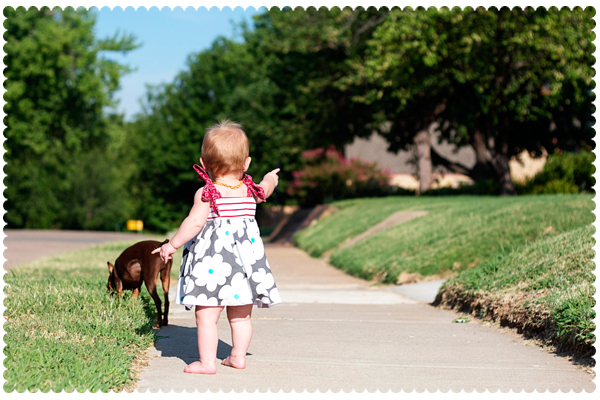 i just wanted to say i totally agree with the whole "dresses look so much cuter now that they're walking" comment! 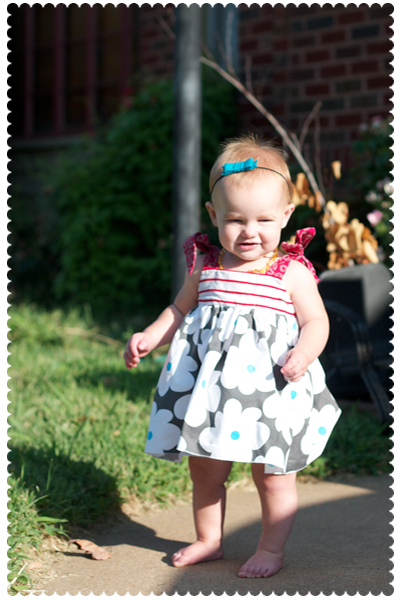 i have spent so much money on cute skirts/dresses just in the last one month my baby girl started to walk. it's a whole different look from when the dress is just bunched up around their waist while they're crawling around!